The name Canjulao comes from two syllables: “Can” and “Julao.” The first word means always, while the second connotes a dry season. Joined together to form a single word, Canjulao means a place that is almost always dry. 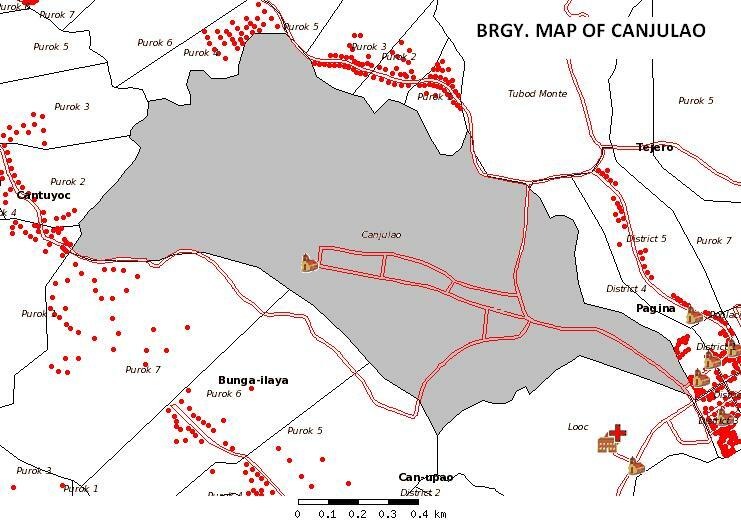 Barangay Canjulao is composed of nine (9) Puroks. Each Purok has a president who is in charge of that particular area. 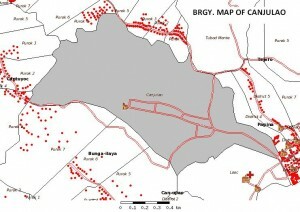 Barangay Canjulao is located under what used to be a forest. The houses were located near a brook, which had a small clearing for the people’s daily use. The source of their drinking water was far from their homes so they had bamboo brackets, which they used to stock their water for cooking and drinking. People from the upper barrios, had to walk through barangay Canjulao, when going to other places. On dry season when their stock of water is limited they refuse to share their water with an accompanying statement in the Vernacular. “Way tubig kay huwaw”. It became an accompanying statement as they refuse to share their water with travelers requesting water to satisfy their thirst. Hence, due to its present name Canjulao. During the Spanish Era, Pio Acera was the leader of the barangay. He was called “Cabeza Pio” as he was a cabeza de barangay. Jose Cubin Cadeliña was the first Teñiente del Barrio during the American period. Benito Balaba Cadeliña was the second Teñiente del Barrio. The third Teñiente del Barrio was Zoilo Visario in the year 1958. The same year saw the creation of the Barrio Charter, which was headed by the then-Barrio Lieutenant, Agripino Daguitera. 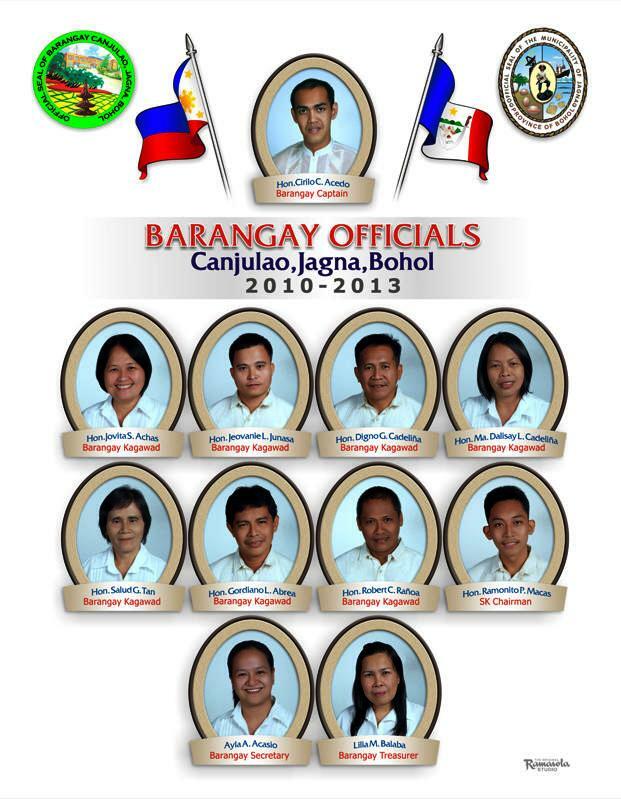 The Barrio Lieutenant was changed to Barangay Captain in the year 1972. 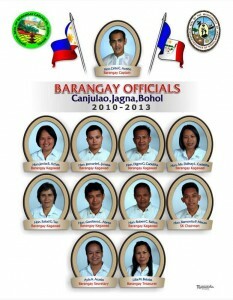 Barangay Canjulao is a peaceful community united towards a common goal of eliminating all forms `of illegal gambling and vices, and maintaining good moral values. A progressive community with complete & green environment because natural resources are preserve an its best. People should help solve drug addiction and illegal gambling by Purok and parental heart consultation: barangay council will coordinate with police authorities in apprehending drug pushers and users with the help of the populace. To support and revive peoples participation thru Barangay Assembly so that the power to govern emirates from the voice of the community. Preserve the environment thru massive tree planting, to promote projects thru cooperatives, proper garbage disposal and to impose penalties and protect wildlife by establishing bird sanctuary.